MONTPELIER, VT –Jigar Shah, one of the today’s leading cleantech champions, will keynote the Summit on Creating Prosperity and Opportunity Confronting Climate Change on February 18 at Vermont Technical College in Randolph. Shah founded and is former CEO of SunEdison where he pioneered “no money down solar” and unlocked a multibillion-dollar solar market, creating the world’s largest solar services company. The Summit, presented by the Vermont Council on Rural Development (VCRD), will consider the impacts of climate change on Vermont and propose ways to advance the prosperity of the state while addressing them. Over 400 people, including scientists, innovative business, non-profit, and community leaders, elected officials, public policy advocates, students, and interested residents, are expected to participate. Shah is one of the co-founders of Generate Capital, a specialty finance company focused on funding businesses that are part of the Resource Revolution – doing more with less of our critical resources like energy, water, food and materials. He is former CEO of the Carbon War Room, a non-profit organization whose mission is to replace high impact carbon business applications and practices with low-carbon and no-carbon alternatives that can help reverse or stop global warming. 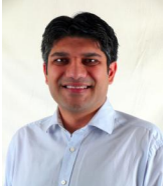 Click here to read an interview to find out more about Jigar Shah and his work. In his latest book, “Creating Climate Wealth”, Shah argues that deployment of existing technologies is the key to reaching our near-term climate targets. Access to capital is a critical step. The Summit includes 80 speakers leading workshops, “fishbowls”, and working group discussions. To register and see the most up-to-date agenda, list of speakers, and topics visit vtrural.org or check #vtclimateeconomy on social media. The Vermont Council on Rural Development is a non-profit organization charged by the federal farm bill to act as a neutral convener at both the local and policy level supporting the progress of Vermont communities. VCRD will provide support to the work of the VT Climate Economy Council, and then help promote the platform of action that comes from its deliberations. VCRD will be founding a new policy effort following the summit to frame key economic development platform elements, and consider ways to market VT to young entrepreneurs and small businesses that want to grow at the center of this national movement…here in VT.